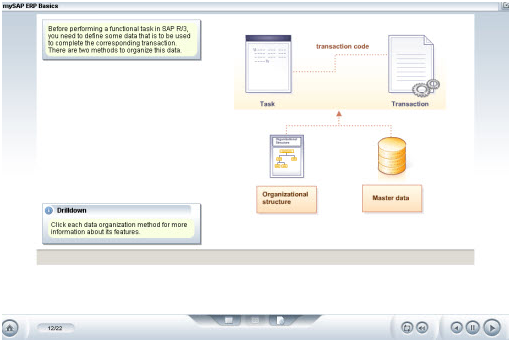 The SAP Financial modules are at the core of any integrated SAP System. All module transactions with a monetary impact flow through to the Finance module, usually in real time and automatically through the SAP configuration. In order to work with the Finance Module or any module, you must have an understanding of the concepts behind mySAP ERP and be familiar with the steps for executing tasks using SAP's interface. This course discusses these underlying concepts, and introduces the R/3 GUI. It also identifies the data required to align your business processes with the Financial Accounting and Controlling modules in order to complete financial transactions and create reports.